Before last years event, approved I had dreams of making the 24 Hour Zine Thing 2012 the best year yet. And then life happened. Which brings us to one year later, thumb with a wrap-up post of the 2012 event being posted in mid-July and participant pins just now being sent out. Which brings us to an apology. 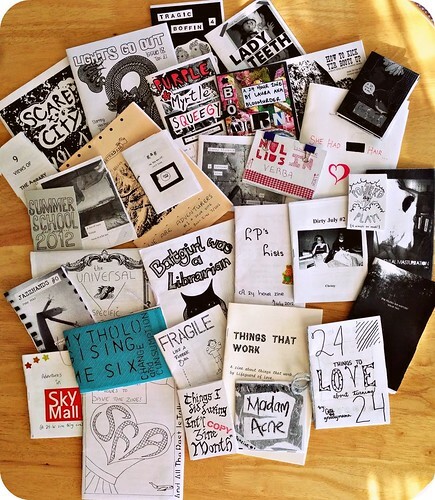 The 24 Hour Zine Thing has been held each July since 2005, treatment and since 2008 I have had the honor of receiving tons of 24 hour zines and getting to know each of you through handwritten letters, e-mails, Facebook posts and tweets. The sweet comments and little “thanks for everything you do!”s attached to your zines make hosting this event worthwhile, and I want to continue to make this event the best that it can be. Over the next few weeks I will be rolling out some new updates and surprises to make the 24 Hour Zine Thing even better! And with that said, let’s wrap up 2012! Mental Masturbation: 24H by Niila! 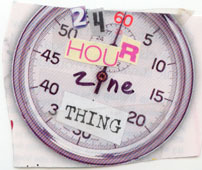 If you have sent in your 2012 zine and do not see it listed, please contact me at 24hourzines(at)gmail.com. I have contacted all of the authors of the zines I have received in order to confirm mailing addresses before sending out the pins, so if you haven’t heard from me but see your zine listed above, shoot me an e-mail with your mailing address and I will send you pin out along with the others on Monday morning (or as soon as I hear from you). Thank you to all of your continued support, and Happy International Zine Month 2013!